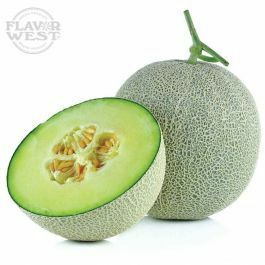 A soft, sweet and true tasting honeydew flavor. The refreshing taste makes it unique. Type: Honey Dew Water Soluble Flavoring. Ingredients: Natural and Artificial Flavoring, Propylene Glycol. USP Kosher Grade Flavoring. Usage Rate: 15-20% for E-use. Flavor Suitability: Drinks and beverages, smoothie, desserts, pastries, baked treats and more. Specific Gravity: 1.04 No Refunds on Flavoring. This is an absolutely fantastic flavor! Mixed at 15% it will be one of your favorites. Not too sweet yet the flavor really shines through.